Provide comfort for the family of Verlin Fairbanks with a meaningful gesture of sympathy. Verlin Richard Fairbanks passed away at 8:25 a.m. at Grace Pointe Senior Living Campus on March 16, 2019, one day before his 92nd birthday. Verlin was born March 17, 1927 in Waterloo, Iowa to Earl and Thelma (Dabney) Fairbanks. Iowa was his boyhood home. He grew up to be a fireman, becoming the Division Chief of the Waterloo Fire Department. 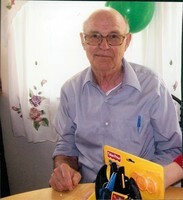 He enjoyed the hobbies of fishing and hunting his whole life. He also served in the Army Air Corp during World War II. A loving husband, father and grandfather, he will be missed by many and is now home in Heaven with the Lord. He is survived by his three children; Terry (Martha) Fairbanks of Pequot, MN, Jeffrey Fairbanks of Waterloo, IA and Kathryn (Dr. Gilbert) Sydney of Greeley; one brother, Donald Fairbanks of Cedar Falls, IA; stepchildren, Bridget Hayes, Cynthia (Charles) Decruq and Bruce (Debbie) Hayes; seven grandchildren, 10 great-grandchildren, 2 step-grandchildren and numerous nieces and nephews. He was preceded in death by his wives, Charlotte (Rydberg) Fairbanks and Ruth (Hayes) Fairbanks, parents, a daughter, Janet Charlin who died the day she was born and his sister, Charlotte Shepherd. A Life Celebration Service will be held at 6 p.m. Monday, April 1, 2019 at Adamson. Please bring a favorite story to share. In lieu of flowers, memorial gifts may be made to “Salvation Army” or “Suncrest Hospice” in care of Adamson, 2000 47th Ave., Greeley, CO 80634. Friends may leave condolences at AdamsonCares.com. We encourage you to share your most beloved memories of Verlin here, so that the family and other loved ones can always see it. You can upload cherished photographs, or share your favorite stories, and can even comment on those shared by others. 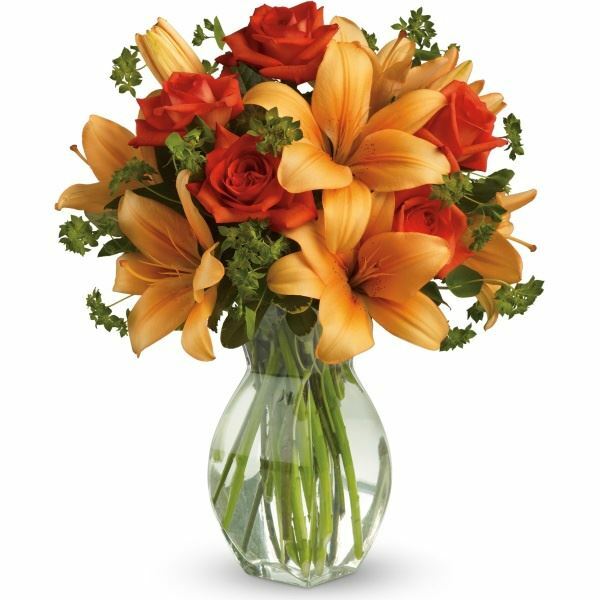 T sent flowers to the family of Verlin Richard Fairbanks. T purchased flowers for the family of Verlin Fairbanks. Thank you " T" ...(we know who you are :-) ...Thank you for loving Dad....You made Grace Pointe a home for him....God Bless You for who you are and what you do !!! Tammy words cannot express our appreciation for all you did for Dad and how lovingly you take care of the residents at Grace Pointe. God bless you for your sweet heart!